9549 Bellflower Lane, Hillsboro, MO 63050 (#16047334) :: Hartmann Realtors Inc. Welcome to Sandy Branch...A restricted luxury community. This 2.1 acres is a level lot. Sandy Branch Estates has asphalt streets, with a concrete entry, underground electric, the latest high tech sewer system and county water. Restrictions and lot size can accomodate a detached structure. 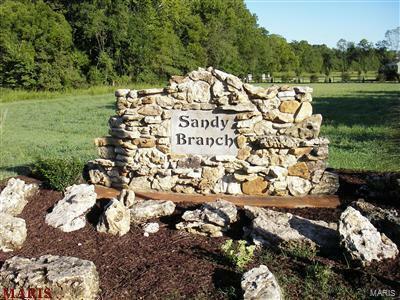 Sandy Branch offers the comforts of country living, yet, the luxury of having the new Highway 21 just five minutes away. With a 1700 square foot minimum, you'll have plenty of room for the whole family. Possible owner financing available. The only thing missing is you!